In April 1999 I have seen Bob perform "A HARD RAIN'S A-GONNA FALL" masterfully in Zurich, and in September 2000 my wife and I got to see Bob singing it at the second show in Portsmouth. It had been the fourth and last performance of this song in 2000. In 2001 "A HARD RAIN'S A-GONNA FALL" has been performed twice in Japan; and twice in Australia. In April in Cape Giradeau, Missouri, "A HARD RAIN'S A-GONNA FALL" has been performed in the same concert as "IN THE GARDEN", like so many times before back in the fall of 1981. The first European appearance of "A HARD RAIN'S A-GONNA FALL" in 2001 was in Norway, the second and the third one were in Germany. In August 2001 it was performed in Oklahoma, in Colorado, and in California. During the fall 2001 tour Bob sang "A HARD RAIN'S A-GONNA FALL" in Seattle, and on three consecutive days in San José, San Francisco and Santa Barbara. The song appeared next in Sioux City and St.Paul. And in Madison, halfway through the tour, Bob actually chose for the first time to follow up "A HARD RAIN'S A-GONNA FALL" with "THIS WORLD CAN'T STAND LONG". Eight days later in Toronto both songs appeared in the same setlist again; and one day after that in Detroit "A HARD RAIN'S A-GONNA FALL" appeared in the same show as the rare "EVERY GRAIN OF SAND". The next performances of "A HARD RAIN'S A-GONNA FALL" were again at three consecutive shows; in Washington D.C., the capital of the United States; two days later in Philadelphia; and another two days later at Madison Square Garden in New York City. Also the last Bob Dylan concert of 2001 in Boston included this song. In February 2002 "A HARD RAIN'S A-GONNA FALL" appeared in North Carolina and Louisiana in a concert starting with "I AM THE MAN THOMAS"; and in West Virgina and Georgia in the same show as "THIS WORLD CAN'T STAND LONG". Once more it was performed in Louisiana in February, making it five appearances in 15 days. In April it appeared twice in Germany, in Hamburg and Stuttgart, one week apart; and in Zurich, Switzerland, where I had seen it three years before. The next two performances were in France, in Strasbourg and Paris, four days apart. In England I had the pleasure to see Bob performing "A HARD RAIN'S A-GONNA FALL" three times in May 2002, in Bournemouth (where it appeared in the same show as "NOT DARK YET"), in Newcastle, and during the second show in London. In August Bob Dylan performed it in Montréal, Canada. 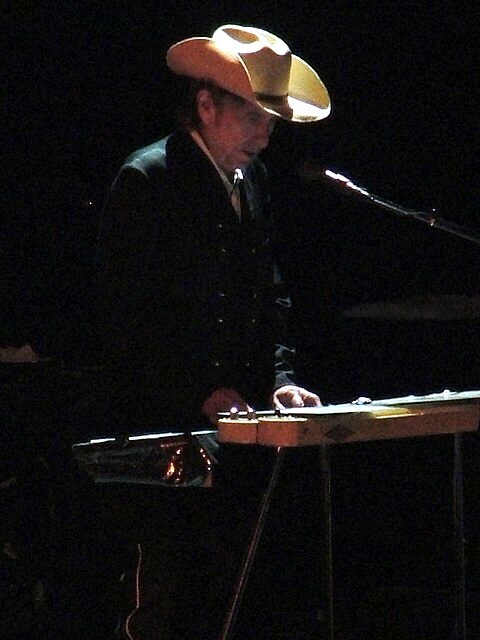 In October in California "A HARD RAIN'S A-GONNA FALL" was performed twice by Bob while playing piano. More than half a year later, at the New Orleans Jazz & Heritage Festival, during the last verse of his first performance of "A HARD RAIN'S A-GONNA FALL" in 2003, Bob was standing at his piano and delivered one of the finest vocal performances in recent years. In July, almost three months after that, "A HARD RAIN'S A-GONNA FALL" was performed in Lake Tahoe, Nevada; and in August it appeared in Joliet, Illinois, in Holmdel, New Jersey, and in Wallingford, Connecticut. Another three months later, in London, in November 2003, Bob Dylan performed "A HARD RAIN'S A-GONNA FALL" during the last show of his finest European tour since 1981. The first appearance of "A HARD RAIN'S A-GONNA FALL" in 2004 was on the last day of March, in Philadelphia. Only three days later it was performed again, in Washington, in the same show as the rare "RING THEM BELLS". Exactly three months after this, in July 2004, in Como, Italy, "A HARD RAIN'S A-GONNA FALL" appeared as the first encore of a show, which also included "EVERY GRAIN OF SAND". One week later, "A HARD RAIN'S A-GONNA FALL" was performed at the south coast of Spain, in Motril, once more (as numerous times before over the years) in the same set as "NOT DARK YET". Five days later Dylan performed "A HARD RAIN'S A-GONNA FALL" in León. In August 2004, "A HARD RAIN'S A-GONNA FALL" was performed during an extremely rainy show in Aberdeen, Maryland, and then sixteen days later in Des Moines, Iowa. During the fall tour "A HARD RAIN'S A-GONNA FALL" appeared at first in Santa Barbara, California, in the same show as "TRYIN' TO GET TO HEAVEN"; and then in Kenosha, Wisconsin, where it shared another setlist with "EVERY GRAIN OF SAND". Four days later, on the day after the US election, "A HARD RAIN'S A-GONNA FALL" was performed in Lafayette, Indiana, in a show which also included "SHOOTING STAR"; and two weeks after that, in Kingston, Rhode Island, "A HARD RAIN'S A-GONNA FALL" appeared in the same concert as "TRYIN' TO GET TO HEAVEN". During the first Sunday show of 2005, in Chicago, Bob Dylan chose to sing his first "A HARD RAIN'S A-GONNA FALL" of the year, in the same set as "SEÑOR", "GOD KNOWS", "SHOOTING STAR", "TRYIN' TO GET TO HEAVEN", and "I SHALL BE RELEASED", creating a very strong and thought provocing juxtopostion of some fine songs. Two weeks later, during the third Boston show, another fine juxtoposition of great songs was to be heard, including "A HARD RAIN'S A-GONNA FALL", "TRYIN' TO GET TO HEAVEN", "GOD KNOWS", "I BELIEVE IN YOU", and "RING THEM BELLS". On the following Sunday, in Atlantic City, "A HARD RAIN'S A-GONNA FALL" appeared in an even finer setlist, together with "GOD KNOWS", "RING THEM BELLS", "TRYIN' TO GET TO HEAVEN", "I BELIEVE IN YOU", and "MISSISSIPPI". Four days after that, in New York City, "A HARD RAIN'S A-GONNA FALL" was performed in the same show as "SEÑOR", "BLIND WILLIE MCTELL", and "MISSISSIPPI". During the May to July stadium tour of 2005, "A HARD RAIN'S A-GONNA FALL" was performed only twice in June, both times in the same set as "FOREVER YOUNG". Toward the end of July 2005 "A HARD RAIN'S A-GONNA FALL" appeared two more times, in Calgary, sharing a fine Sunday set list, which also included "GOD KNOWS", "SHOOTING STAR", and "TRYIN' TO GET TO HEAVEN"; and then in Bozeman, Montana. During the European fall tour of 2005, "A HARD RAIN'S A-GONNA FALL" was performed six times, in Wetzlar, in Paris, in Erfurt, in Bologna, in Manchester, and during the fourth of his five London shows. Two of the six appearances (in Wetzlar and in Erfurt) were on consecutive Sundays, thus both times they were sharing a set list with "GOD KNOWS" and "SEÑOR"; and in Wetzlar also with the only "SHOOTING STAR" of the tour; and in Erfurt also with the only "RING THEM BELLS" of the tour. Powerful combinations indeed, these songs. My wife and I were standing at the rail in both Wetzlar and Erfurt, seeing both times a very focused vocal performance of "A HARD RAIN'S A-GONNA FALL", which were only the 7th and 8th German "never ending tour" appearances of this gem. “I'll tell it and think it and speak it and breathe it, and reflect it from the mountain so all souls can see it, then I'll stand on the ocean until I start sinkin', but I'll know my song well before I start singin'.” A very fitting addition to these two brilliant Sunday set list. The first appearance of "A HARD RAIN'S A-GONNA FALL" in 2006 was in Memphis, Tennessee, and the second one was during the summer tour in Europe, in Perpignan, France. One week later, in Foggia, Italy, "A HARD RAIN'S A-GONNA FALL" was performed again, this time in the same set as "EVERY GRAIN OF SAND". During the US summer tour "A HARD RAIN'S A-GONNA FALL" appeared first in North Carolina; then six days later in Rhode Island, in a show which had started with "CAT'S IN THE WELL". This combination was repeated three days later, in New Hampshire. During the fall tour of 2006 "A HARD RAIN'S A-GONNA FALL" was performed in two of the 29 shows, and during the fine European spring tour of 2007 "A HARD RAIN'S A-GONNA FALL" appeared in six of the 28 shows. The last of those six performances was in Frankfurt, where once more my wife and I were a part of the audience. During his Latin America tour in 2008 Dylan chose to perform "A HARD RAIN'S A-GONNA FALL" three times, in Mexico, in Brazil, and in Uruguay; and during his European summer tour in 2008 it appeared five times, in Lithuania, in Italy, in France, and then twice in Spain (first in Zaragoza, and finally in Mérida, where I had the privilege to witness this very focused version from the center of the rail). Nine more times in 2008 "A HARD RAIN'S A-GONNA FALL" was performed in North America from August to November. In 2009 "A HARD RAIN'S A-GONNA FALL" appeared three times in Europe in the spring, in Norway, in Germany, and in Italy; and then three times in the USA in the summer, in Kentucky, in New Jersey, and in Georgia. During the fall tour of 2009 "A HARD RAIN'S A-GONNA FALL" was performed four times. The first three appearances of "A HARD RAIN'S A-GONNA FALL" in 2010 were in Japan, on three consecutive Thursdays in March; and the next two were in Turkey in May and in Bulgaria in June. During the US fall tour 2010 "A HARD RAIN'S A-GONNA FALL" was performed four times in October and four times in November. In April 2011 Dylan chose to perform "A HARD RAIN'S A-GONNA FALL" in China, in Vietnam, in Hong Kong, in Singapore, and five times in Australia. In the summer of 2011 "A HARD RAIN'S A-GONNA FALL" was performed in England, in Israel, in Switzerland, in Denmark, in Norway, in Sweden, twice in California, and in Georgia. In the fall of 2011 it appeared in another 12 concerts in Europe. In April and May of 2012 Bob Dylan chose to perform "A HARD RAIN'S A-GONNA FALL" seven times during his Latin America tour; and during the his European summer tour of 2012 "A HARD RAIN'S A-GONNA FALL" appeared five times, in England, in Germany, in Spain, in Italy, and in France. During the North American summer tour of 2012 "A HARD RAIN'S A-GONNA FALL" was performed four times; and during the North American fall tour of 2012 "A HARD RAIN'S A-GONNA FALL" appeared another nine times. 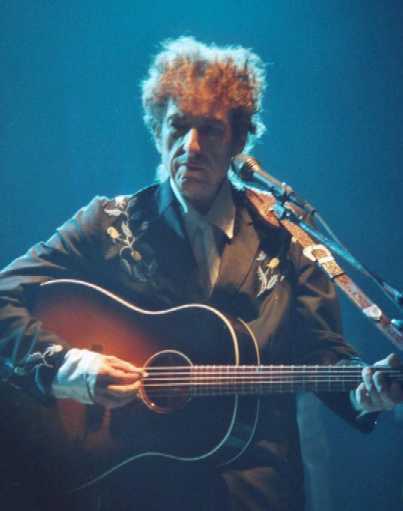 In 2013 a very nice intense version of "A HARD RAIN'S A-GONNA FALL" was performed from June to August in 22 of 27 shows of Bob Dylan's North American summer tour, each time followed by "BLIND WILLIE MCTELL". During Dylan's fine European autumn tour of 2013 "A HARD RAIN'S A-GONNA FALL" appeared twice, both times in Italy (for mp3 links to both of them see below). The next six performances of "A HARD RAIN'S A-GONNA FALL" were in the summer of 2014, in Europe, during most of the open air festival sets of the tour. The only performance of "A HARD RAIN'S A-GONNA FALL" in 2015 was during the opening show of the European summer tour, in Mainz, Germany, in June 2015. The next appearance of "A HARD RAIN'S A-GONNA FALL" was not until two years later, during a festival set in Dover, Delaware, in June 2017. I do think Bob Dylan is conveying a very grave warning when singing "A HARD RAIN'S A-GONNA FALL" these days. This brilliant song does paint a vivid picture of a very desolate "world gone wrong", which "can't stand long" and which "will be destroyed" by its maker, "because it is too full of sin". "And there will be signs in sun and moon and stars, and on the earth distress of nations in perplexity because of the roaring of the sea and the waves, people fainting with fear and with foreboding of what is coming on the world. For the powers of the heavens will be shaken." If the clouds are full of rain, they empty themselves on the earth.